Regulations in a key oil producing region dictated all gas-lifted wells have annulus safety valves. One producer had many wells with failed ASVs, which would have required expensive repairs and shut-down. 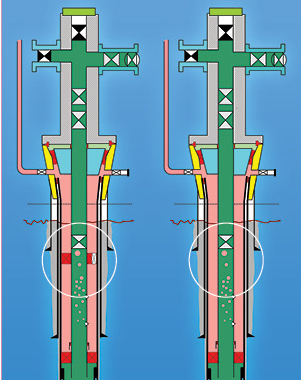 Can wells safely operate with revised procedures and surface valves as back up? Is this a safety hazard to personnel due to leaks or explosions? Well failure of gas-lifted wells with ASVs stuck in open position was examined.